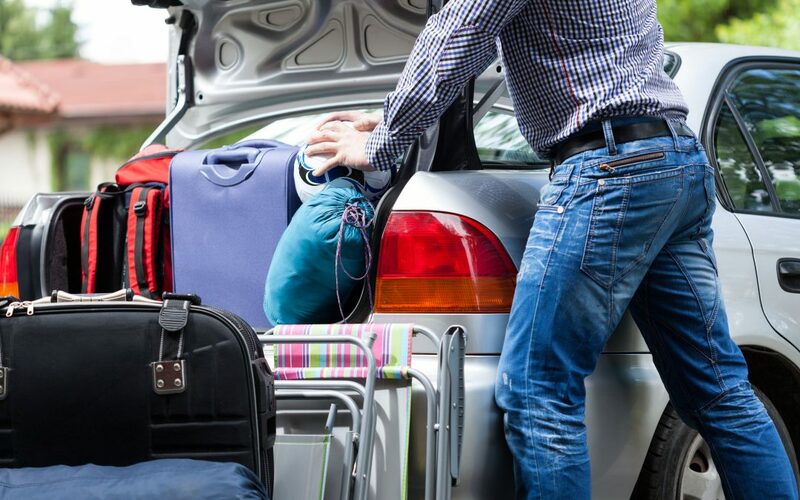 Whether you’re moving across town or across the country, it’s essential to know how to utilize every inch of space in your car to not only pack all of your possessions, but also squeeze all of your passengers into your vehicle happily and safely. The first step to properly packing your car is to hatch a plan prior to moving day. This means you’ve got to sort your stuff, shrink it down (get rid of the unneeded items), and then pack. Take an inventory of all of your items that need to make the move and the ones that are going to go into your car. Also, plan to have all of the appropriate moving supplies in order, such as overhead carriers, vacuum storage bags, and bags. These items will help you maximize your car’s space and keep your possessions safe. If you have to make a long journey, double check to ensure your vehicle is ready to hit the road. Check your tires, all of your fluids, heat, and air conditioning. Ensure that everything is clearly labeled so you can effectively unpack your vehicle when you reach your destination. Use the trunk for large items and fill in the gaps with either bedding or clothing in the vacuum bags. Keep more fragile items in the seats. Remember to keep an unobstructed view so you can see out of all of your car’s windows which will allow you to safely drive your vehicle. Packing your car or truck for a long move isn’t that difficult with the proper planning and prep work. Just remember to maximize space, pay attention, and drive safely!